This is probably the perfect time to shop online as the country's biggest online shopping store teams up with Philippines' leading airline for another offering. Serving a variegated of great finds from gadget, fashion, to home and living. Thus, the partnership geared for an exciting giveaway. 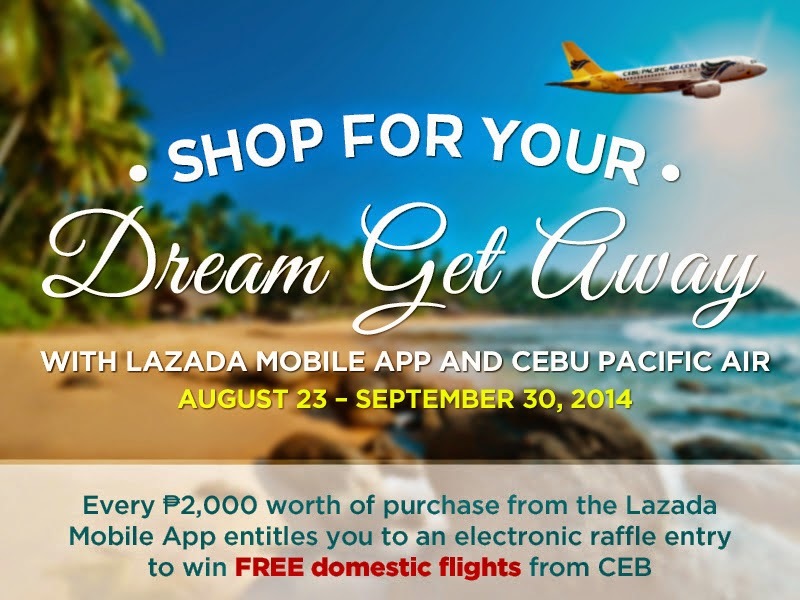 This month, in line with Lazada PH and Cebu Pacific Air (CEB) partnership, they are giving away FREE roundtrip tickets to local destinations! Now how can you go wrong with effortless and risk-free shopping at Lazada? Simply shop using the Lazada Mobile App from August 23 to September 30. For a minimum purchase of PhP 2,000, you will be entitled to an electronic raffle entry for a chance to win the free domestic flights from CEB! Lazada Philippines and CEB continue to offer more great-value and convenient options for its customers. Earlier last year, the two companies entered into a partnership to provide CEB website visitors an online shopping option. The Lazada Mobile App is available for free in Apple AppStore and Google Play for all those who dont have the app yet.